Here's a sample Task 1 for you. Good Luck! You should spend about 20 minutes on this task. The diagram shows how photographs can be produced using digital photo graphic equipment. Write a report for a university lecturer describing the information. 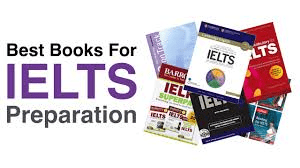 Well done on completing another day of your IELTS T20 course. 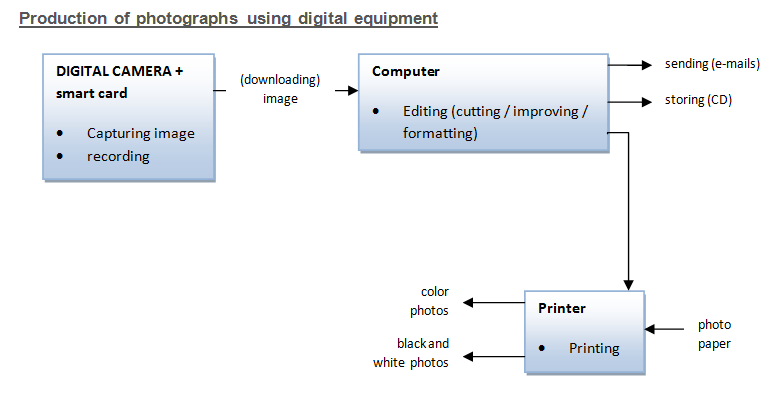 The Diagram illustrates how digital equipment develop pictures. Overall, there are 3 steps in the digital equipment to produce pictures starting from the digital camera plus smart card ending up to the printer. First step, the digital camera with built in smart card will capture the image then will be automatically recorded at the card, after which the image will be downloaded at the Computer, where it can be edited if desired to be cropped, improved or formatted, after that the final image will the be sent as emails and will be stored in compact disk for security. Finally, in can be sent to the printer mounted with photo paper for production of colored or black and white photos depending on the choice.